Karita Mattila as Tosca at the Metropolitan Opera. All 9/17 rehearsal photos by Ken Howard and courtesy of The Met. George Gagnidze as Scarpia in Puccini’s Tosca at the Metropolitan Opera. 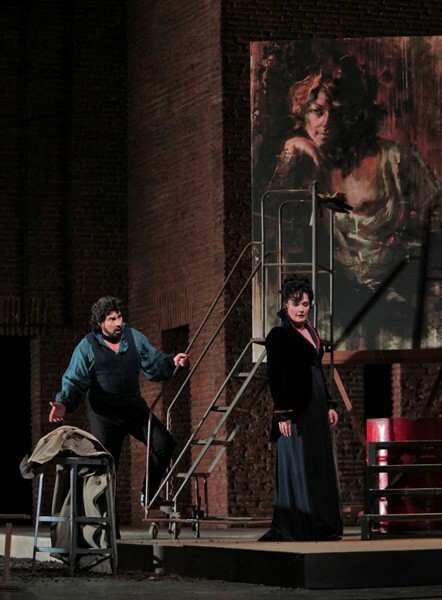 Marcelo Alvarez as Cavaadossi (1) and Karita Mattila in the title role of Tosca at The Metropolitan Opera. 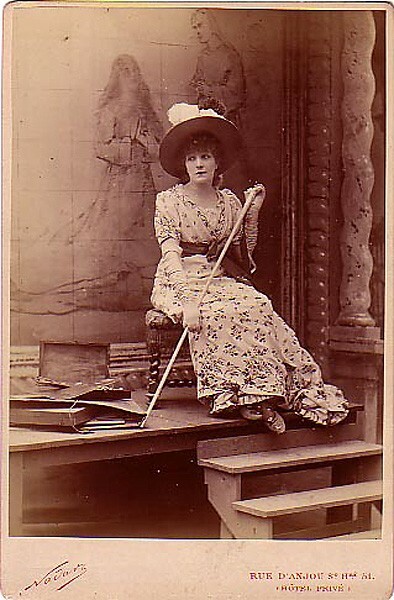 Sarah Bernhardt as La Tosca. Victorien Sardou started it all with his play "La Tosca""
Karita Mattila will also sing Tosca for the first Live in HD Met telecast on October 10. Karita Mattila comes in a blaze of glory to the role of Floria Tosca in the Metropolitan Opera's new production of Tosca -- recently she has performed such diverse roles as Tschaikovsky's Tatiana in Eugene Onegin, and the seductress Salome in Richard Straus' opera of the same name. Trial runs of Tosca in her native Finland may have received mixed reviews but Mattila's performance was so compelling many residents of Helsinki quickly booked flights to New York for this Met opening. She does not disappoint. Floria Tosca, an opera diva, has attracted great dramatic sopranos over time. Puccini considered Maria Jaritza, the Czech soprano, perfect for the role which she performed in her debut at the Metropolitan on October 1, 1930. Like the most successful of her successors, Jaritza was able to combine the talent of an actress like Sarah Bernhardt with vocal ability which ranges from a light approach to high C's to a darker timbre in the lower ranges -- full but not thick, where words can glow and live. 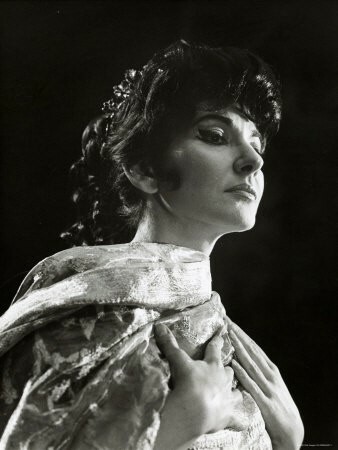 Maria Callas also had problems with Tosca in Rio. After the first night's performance, the director called her in to cancel the rest of her performances, the audience's adverse reaction cited as cause. Callas' arch rival in the role, Renata Tebaldi, was brought in to sub, probably producing Tosca-like jealousy. Callas is well worth comparison with Mattila's performance, because both divas have an unusual dramatic ability and flood performances with an expressive mix of passion and fury. Mattila has aptly been described as "the most electrifying singing actress of our day." Her voice has a wonderful warmth and rarely sounds forced or pressured. She radiates a humanity that is just right for a new Tosca. 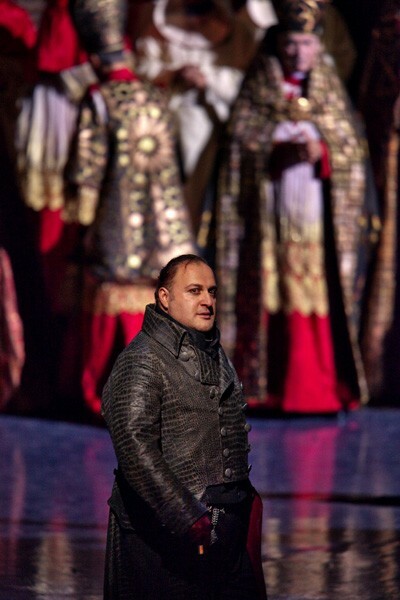 George Gagnidze's Scarpia was powerful, commanding a great range of color and subtlety, from his terrifying entrance in the 'Te Deum' scene through to a lovely lightness in his upper ranges. 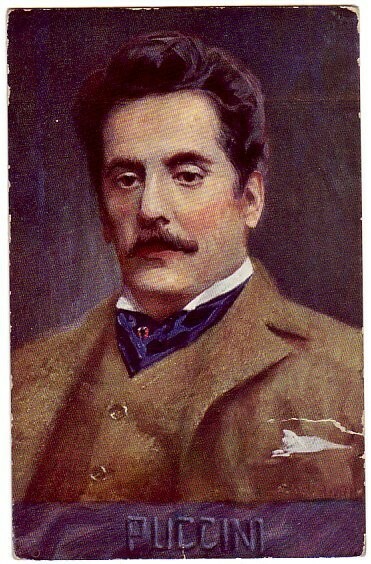 There is a crudity in his portrayal of Scarpia, which lacked the tyrannical madness of earlier interpretations of the chief of police, in which Scarpia's sympathetic feelings for Tosca also were hinted. This Scarpia has a harem which makes him seem not sexually-driven, but small and tawdry. This probably should not surprise since a portrait of a pert naked breast dominates Act I. The crimson red sofa that is center stage in his quarters is echoed by red throughout the room Â– and Tosca's splendid red robe Â– blood and passion foretold. Marcelo Alvarez, the Argentinean tenor, was splendid as Cavaradossi. Often called the hottest tenor of our day, not so long ago Alvarez was an accountant in Cordoba, only dreaming of the world's most prominent opera houses. But then he won a song contest and everything changed -- long before reality TV and the meteoric rise of Jennifer Hudson and Susan Boyle. In addition to operatic roles played throughout the world, he recorded songs of a tango crooner, Carlos Gardel, legendary in Argentina. Gardel was strongly influenced by Enrico Caruso. Alvarez's magnetic lyricism may come from his own Caruso-like crooning days. Alvarez's arias and duet with Mattila in Act III (after the opera settles down) were showstoppers. During one intermission in an interview with Patricia Racette, Maestro James Levine talked about the Met opera orchestra's special quality. 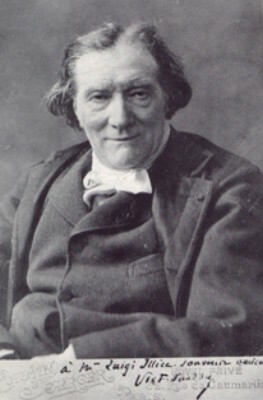 If you always accompany song -- an opera orchestra does -- Levine mused, the arc of the music becomes ingrained. Lyricism is important in performing all music. The orchestra was luminous, high drama and beauty balanced, the pacing perfect. I was somewhat confused about the production's intent. In an intermission interview, the costume designer, Milena Canonero, a three-time Academy Award winner whose Te Deum costumes here were glorious, talked about the 1800 time period, in which both Sardou and Puccini set the piece, as her jumping off point. Sometimes the production looked like a jumping off point from the Puccini opera instead of, say, Puccini played with a thoroughly modern feel. I missed Napolean in the background, attending a Te Deum mass in June of 1800 and then on to Paris with his not so secret mistress, a contralto from La Scala. The evening ended when general manager Gelb led out the singing principals, Maestro Levine and the director and designers to a dramatic appearance on the balcony overlooking the Lincoln Center Plaza where they received grateful and appreciative applause from an audience who had been treated to this performance indoors and out. 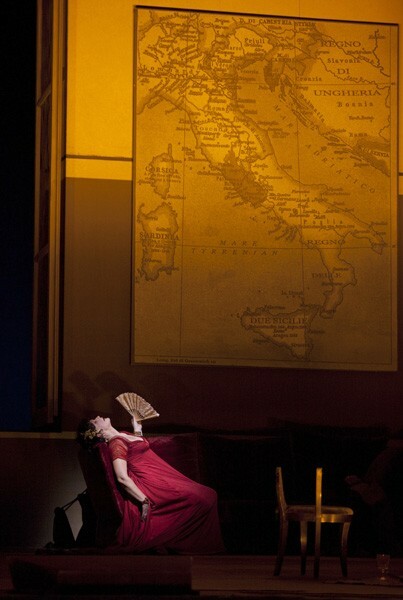 The HD broadcast of Tosca will be in area theaters on October 10th, including the Mahaiwe Performing Arts Center in Great Barrington, MA and Memorial Hall in Shelburne Falls, MA.